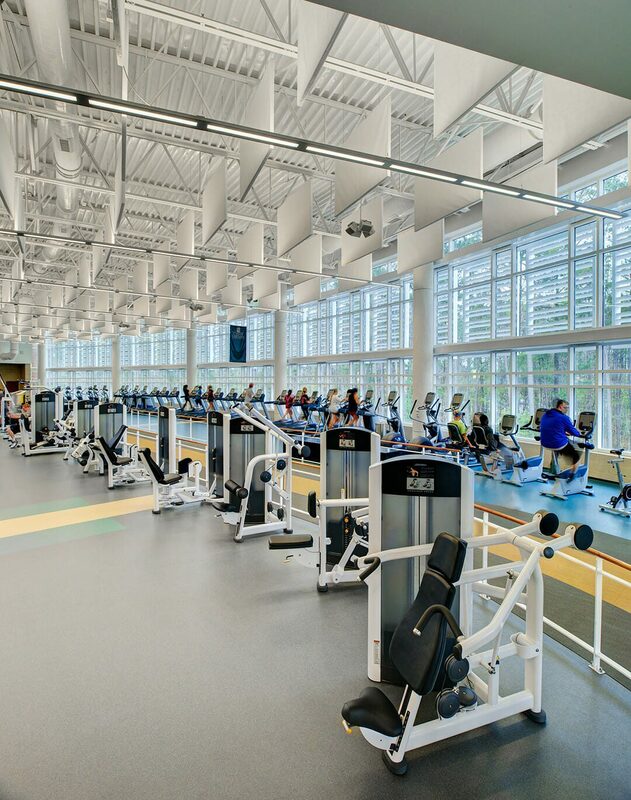 Situated at the edge of campus on the current recreation fields, the new 130,000 square-foot center incorporates three distinct programmatic elements – a student recreation center, convocation/athletic venue, and the relocated campus bookstore – with support spaces arranged around a central circulation spine. 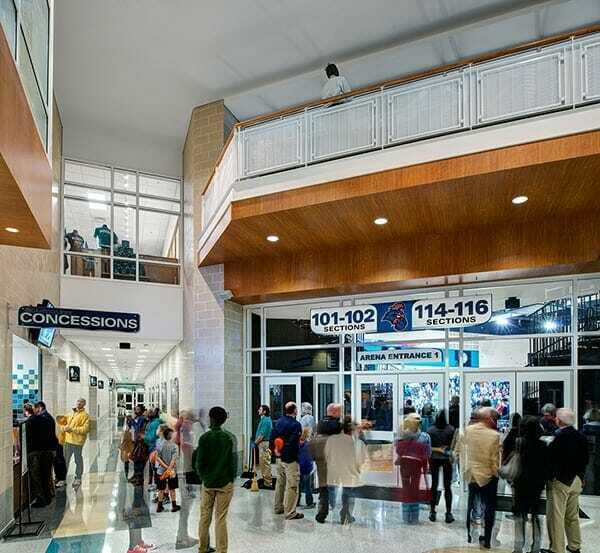 The 3,650-seat convocation center is equipped with retractable bleacher seating for ultimate flexibility; the floor accommodates 1,000 visitors for non-athletic events. 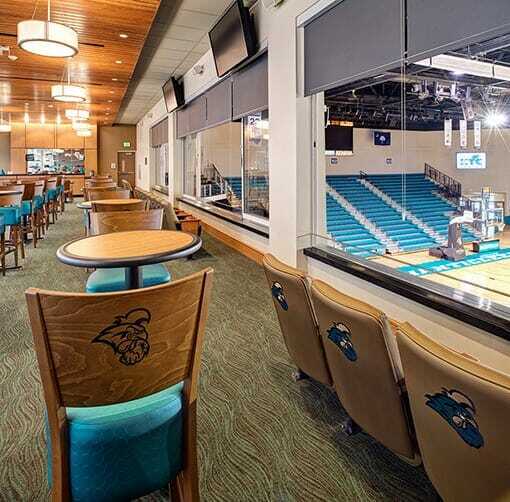 The spaces can act as a multi-functional venue, hosting men’s and women’s Division 1 basketball and women’s volleyball competitions, as well as athletic practices on its three courts when the bleachers are retracted. Nonathletic functions such as convocations and campus/community events are also programmed throughout the year. Fully-equipped locker rooms and showers for home and visiting teams, coaches, and officials flank the arena bowl, along with multiple concessions areas and public restrooms. 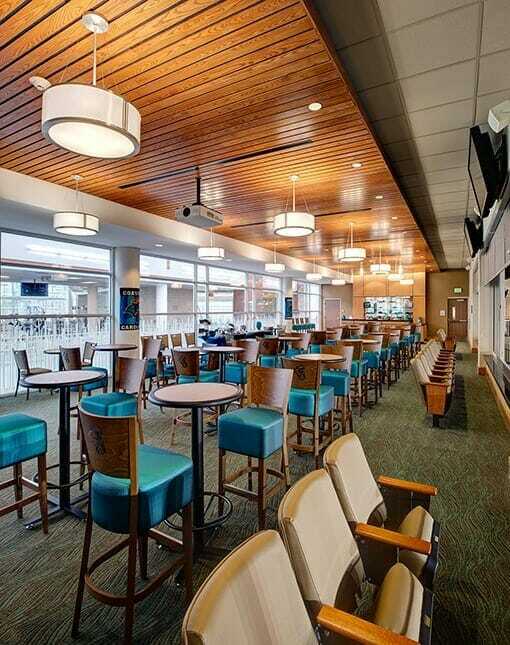 Coaches’ offices and hospitality suites are situated on the upper level to provide enhanced viewing access to games and events. 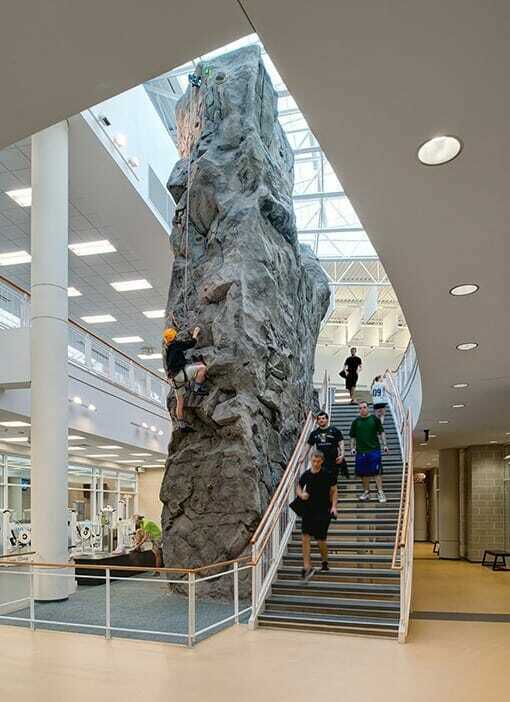 The two-level student recreation center houses 12,000 square feet of cardio and weight training space, three multi-purpose rooms, an indoor track, and a 35-foot climbing wall. 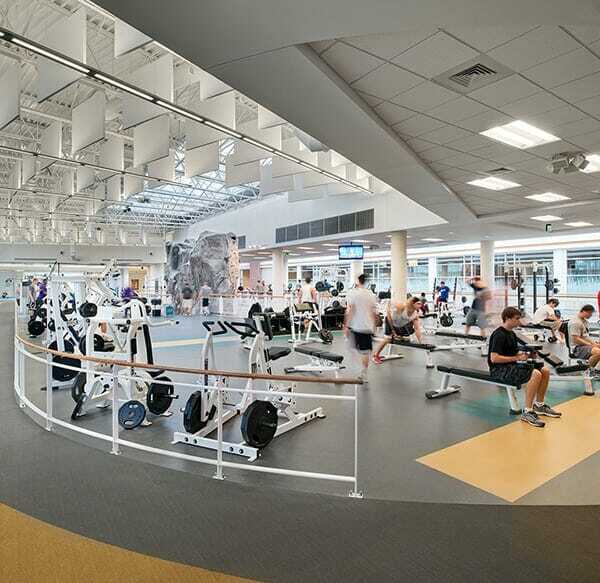 Student locker rooms and showers, security access desk, equipment issue, and staff of faces adjoin the main fitness space. Linking the convocation center to the student recreation area, the three-story skylit concourse acts as both public entry and student union. Students have all-day access to a cafe and gathering spaces with digital information centers and Wi-Fi access. Finally, the relocated 9,000 square-foot bookstore is accessed via the concourse and acts as a public frontispiece to the entire facility. This project was designed in association with Timbes Architectural Group and Hughes Group Architects.